Shabby chic lounges have become increasingly popular in recent years, and it’s no surprise why. The look itself can easily be achieved through the simplicity of merging modern day furniture with antique items. With its rustic designs and natural tones, shabby chic can express a home’s character – creating a cosy interior for any home. 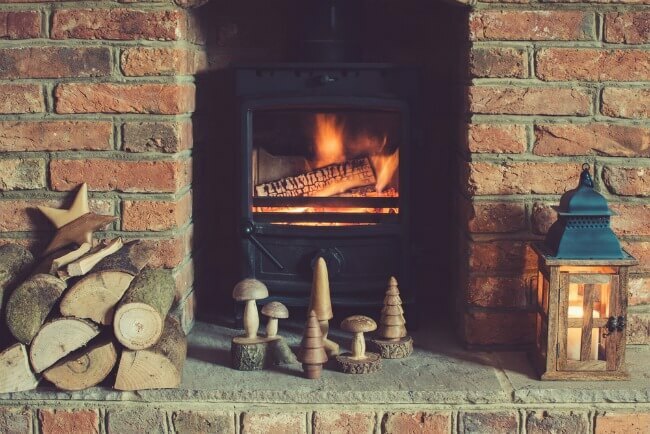 With winter dawning in, we’ve picked our favourite shabby chic looks with beautiful stoves for that winter interior inspiration! Create a cosy homey feel by coordinating the colour scheme for your lounge with different accessories. 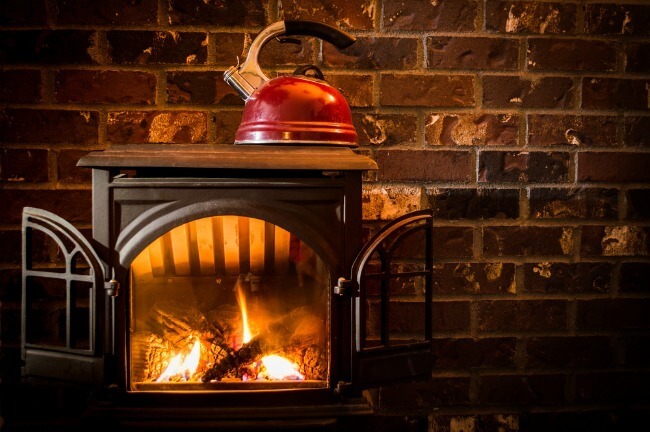 Don’t forget to dress up your wood burning stove by adding small intricate detailing like personal antiques, or your favourite quotes. This shabby chic country look can easily be created teaming crisp white floorboards, with a gorgeous and bright Persian rug. White stoves are perfect for a real shabby chic feel. For an extra cosy feel add fairy lights and trinkets for the perfect finishing touches. Wooden interiors work wonders around a stone fireplace, place logs around your stove to create a homey feel. Layering different textures and patterns around your fireplace also allows your stove to become a centrepiece of your living room. Accessorise your living space by adding patterned scatter cushions and a textured throw. Exposed brick fireplaces are perfect for an elegant and timeless shabby chic look. By painting ceiling beams white, it modernises the room, whilst the fire is still in-keeping with the shabby-chic appearance of the lounge. Add candles around the fireplace for a soft warm glow on wintery nights. Upcycling and distressing old furniture creates the perfect shabby chic look. Placing pastel colour accessories, or flowers on top a white mantelpiece is a great way to add subtle colour and brighten a lounge without creating an over-bearing vibrancy.